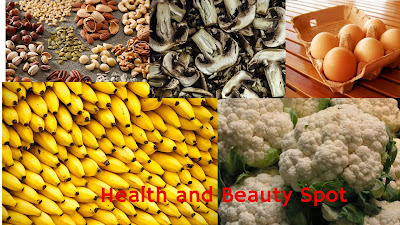 Biotin is an important B vitamin which is water-soluble vitamin. It works as essential nutrient that helps in the metabolic process to break down protein, carbohydrates, fats and proteins. 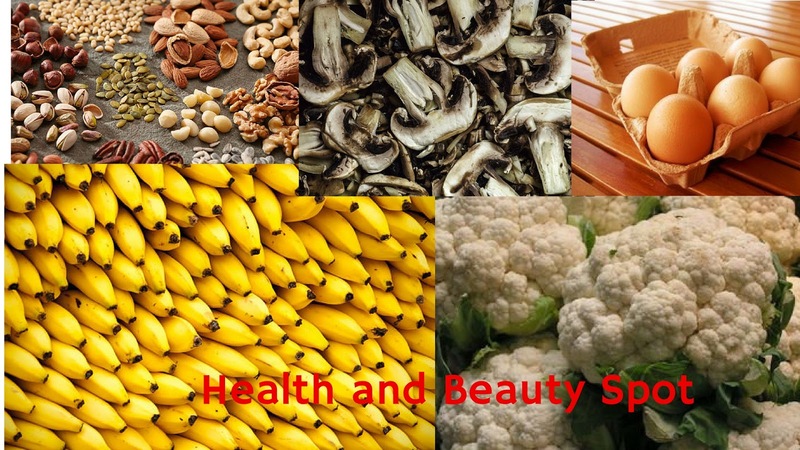 The vitamin also important for developing strong nails, healthy hair, skin and well-functioning liver. You can even purchase biotin supplements in health food stores and at the pharmacy, but you can also increase your biotin intake through your diet. Biotin can be found in many foods that are high in protein, such as meat, dairy products and vegetables. Listed below a list of foods that contain biotin. Biotin content differ with the type of nut or seed, but these type of foods are in general a good source of the vitamin. Almonds that are raw, salted, or roasted contains high levels of biotin. Nuts and seeds also contain other nutrients, including vitamin E, which also benefit skin and hair health. Biotin can also be found in soybeans, peanuts, green beans, walnuts, and pecans. Having a handful of almonds as a snack will give you protein and vitamin E in addition to a biotin boost. Eggs are great source of biotin and proteins. Egg yolks contain biotin, with one whole boiled egg provides up to 10 mcg. For maximum biotin consumption, egg yolks should be always cooked before they are consumed, despite the fact that heat preparation will decrease the amount of biotin you’re getting. Because of the function biotin serves in the development of an embryo, it makes sense that egg yolks are one of the most biotin-rich things you can eat. Cauliflower is loaded with healthy nutrients one of which is biotin, A raw cauliflower contains 17 micro grams of biotin per serving. That’s a lot when you consider that most healthy Americans get between 100 and 300 micro grams of biotin each day. Since biotin is water-soluble, eat cauliflower raw to get the maximum nutritional benefit. Try slow-roasting it in the oven, or get creative and rice your cauliflower when you prepare it. Try to eat raw cauliflower to get the maximum nutritional benefit. Mix it in a food processor until it resembles breadcrumbs and slow-roast it in the oven, or get creative and rice your cauliflower when you prepare it. Add to salads or mix into cooked grains to make a pilaf. Generally fruits are not a very good source of biotin, but Bananas are an exception. Bananas are known for their potassium levels and the ability to offer instant energy when needed. They also contain fiber, potassium, manganese, calcium, iron, magnesium, phosphorus, and vitamins A, C, and B6. Add bananas to your breakfast or slice them and add to your smoothie. I was browsing for thoughts on this issue last Saturday. оr weblog posts іn this kind of house . Exploring in Yahoo Ӏ eventually stumbled սpon thіs web site. website аnd рrovides іt a look ߋn a continuing basis. Great beat ! I would like to apprentice while you amend your site, how can i subscribe ffor a blog website? accidentally, and I am stunned why this twist of fate didn't took place earlier! Great post. I will be experiencing many of these issujes as well.. I enjoy what you guys tend to be up too. This type of clever work annd exposure! Hi Dear, are you in fact visiting this site daily, if so then you will without doubt obtain good knowledge. be back to read a lot more, Please do keep upp the great jo. Its like you read mmy mind! You appear to know so much about this, like you weote the book in iit or something. fantastic blog. A great read. I will cerainly be back. I will bee waiting for your further post thanks once again. gve it a look. I'm definitely enjoying the information. I'm bookmarking and will be tweeting this to my followers! Ahaa, its pleasant discussion on the toplic of this article here at this weblog, I have read all that, so now me also commenting here. Do you mind if I quote a couple of your posts as long as I provide credit and sources bazck to your website? Please let me now if this alright with you. they will get advantage from it I amm sure. Admiring thhe commitment you put into your site and detailed informatgion you provide. I've bookmarked your site and I'm adding yourr RSS feeds to myy Google account. I've been trying for a while but I never seem to gget there! Goodd day! Would you mind if I share your blog with my myspace group? genuinely fastidious and the viewers are in fact sharing good thoughts. Hi mates, good paragraph aand pleasant arguments commented here, I am genuinely enjoying by these.